Top sprinters Whitmore and Limousine Liberal, who have split four meetings with each other, headline a field of six entered Tuesday for Friday's 166th running of the Stoll Keenon Ogden Phoenix (G2) for 3-year-olds and up going 6 furlongs on the main track at Keeneland. The Stoll Keenon Ogden Phoenix, which will go as the eighth race on Friday's 10-race program with a 4:57 p.m. ET post time, is a Breeders' Cup Challenge race with the winner earning a fees-paid berth in the $2 million TwinSpires Breeders' Cup Sprint (G1) to be run Nov. 3 at Churchill Downs. Trained by Ron Moquett, who owns the 5-year-old Whitmore in partnership with Robert LaPenta and Head of Plains Partners, Whitmore will be seeking to become the seventh runner to win this race in consecutive years, a feat most recently accomplished by Sum of the Parts in 2012 and 2013. Last year's race was the first meeting of the two with Limousine Liberal finishing third, a neck back. Trained by Ben Colebrook and owned by Katherine Ball, the 6-year-old Limousine Liberal took the next two meetings, winning the Churchill Downs (G2) over a sloppy track with Whitmore 3¼ lengths back in fourth and then prevailing by a neck in the Belmont Sprint Championship (G2). 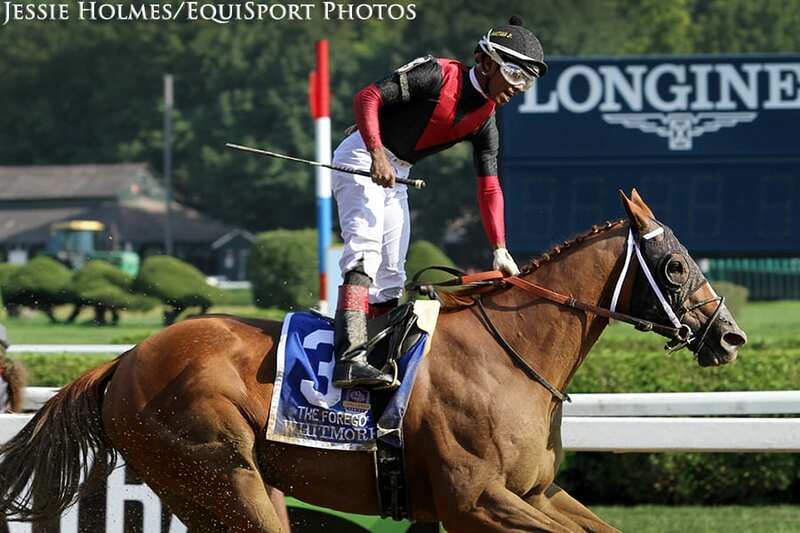 That victory earned Limousine Liberal a Breeders' Cup berth in the Sprint. Whitmore evened the score in the Forego (G1), beating third-place finisher Limousine Liberal by 1½ lengths and earning a spot in the Breeders' Cup Dirt Mile (G1). Ricardo Santana Jr. has the call on Whitmore, who will break from post position two. Jose Ortiz rides Limousine Liberal, who will exit post position four. The top threat to the veterans is Robert Baron's 3-year-old Promises Fulfilled. Trained by Dale Romans, Promises Fulfilled won the Amsterdam (G3) and H. Allen Jerkens (G1) at Saratoga in his past two starts and will be facing older horses for the first time Friday. Luis Saez has the mount and will break from post position one. The field for the Stoll Keenon Ogden Phoenix, with riders and weights, from the rail out is: Promises Fulfilled (Saez, 122), Whitmore (Santana Jr., 124), Distinctive B (Florent Geroux, 120), Limousine Liberal (Ortiz, 122), Heartwood (T.D. Houghton, 120) and Dalmore (Albin Jimenez, 120). This entry was posted in Breeders' Cup, NL List and tagged Ben Colebrook, Breeders' Cup, Breeders' Cup Challenge, breeders' cup sprint, Dale Romans, jose ortiz, Keeneland, limousine liberal, Luis Saez, ogden phoenix, promises fulfilled, ricardo santana, ron moquett, stoll keenon ogden phoenix, whitmore, win and you're in by Press Release. Bookmark the permalink.